The construction of Shale clinic in Umzingwane Ward 8 is an advocacy initiative that was adopted by Habakkuk Trust in the year 2013 after the community was failing to commence work due to conflict related issues. The clinic which has since been roofed is set to open its doors to the public soon. Matobo Ward 10 clinic was pegged in 2014 and much hasn't been done owing to conflicts relating to the clinic site and negative political influences that have in turn polarised villagers. This clinic project is one of the advocacy issues the Habakkuk Trust Action Team in the Ward is advocating on. 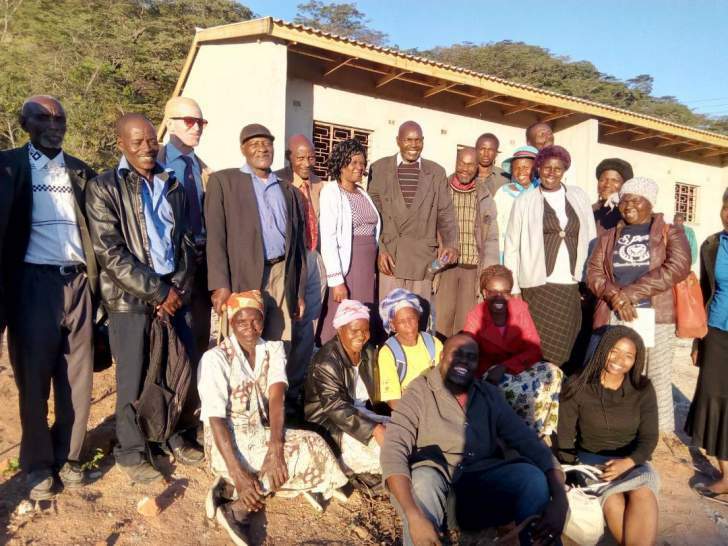 Habakkuk Trust recently organised a peer learning visit which saw a six member delegation from Matobo Ward 10 travelling to Shale to interact with the local Action Team on how they manage to deal with conflicts and build their clinic. The delegation led by the local councillor for Matobo Ward 10, Alexander Phiri included representatives from the action team, traditional leaders and the clinic committee. The learning visit facilitated a symbiotic learning process that saw both teams sharing ideas during a tour specifically around conflict management and resource mobilisation strategies. The similarities between the advocacy issues and the challenges faced in both wards were very helpful in facilitating the exchange of valuable information. The visiting Village Head Mr. C. Moyo expressed keenness to adopt a village centred mobilisation strategy which made the Shale Clinic project a success. "We learnt a lot from this visit, I won't say much but what I can tell you is that we will invite you (Shale Action Team) to come to Matobo and witness the far reaching impact of this visit," he said.